In contrast to standard therapies for heart failure, JQ1 works directly within the cell’s command center—or nucleus—to prevent damaging stress responses. This groundbreaking research lays the foundation for an entirely new way of treating a diseased heart. The study is published in the Aug. 1 issue of Cell. “As a practicing cardiologist, it is clear that current heart failure drugs fall alarmingly short for countless patients. 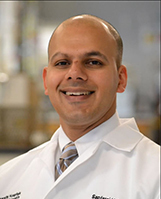 Our discovery heralds a brand new class of drugs which work within the cell nucleus and offers promise to millions suffering from this common and lethal disease,” said Saptarsi Haldar, senior author on the paper and assistant professor of medicine at Case Western Reserve and cardiologist at University Hospitals Case Medical Center. Heart failure occurs when the organ’s pumping capacity cannot meet the body’s needs. Existing drugs, most of which block hormones such as adrenaline at the cell’s outer surface, have improved patient survival. Unfortunately, several clinical studies have demonstrated that heart failure patients taking these hormone-blocking drugs still succumb to high rates of hospitalization and death. Leveraging a new approach, the research team turned its attention from the cell’s periphery to the nucleus—the very place that unleashes sweeping damage-control responses that, if left unchecked, ultimately destroy the heart. The team found that a new family of genes, called BET bromodomains, causes heart failure because they drive hyperactive stress responses in the nucleus. Prior research linking BET bromodomains to cancer prompted the laboratory of James Bradner, the paper’s senior author and a researcher at the Dana-Farber, to develop a direct-acting BET inhibitor, called JQ1. In models of cancer, JQ1 functions to turn off key cancer-causing genes occasionally prompting cancer cells to “forget” they are cancer. In models of heart failure, JQ1 silences genetic actions causing enlargement of and damage to the heart—even in the face of overwhelming stress. The team, led by principal investigators Haldar and Bradner, studied mice that develop classic features of human heart failure, including massively enlarged hearts that are full of scar tissue and have poor pumping function. For one month, the team administered a single daily dose of JQ1 to the sick mice. The treated mice were protected from precipitous declines in heart function in a matter of days. Animals who received the compound saw a 60 percent improvement, as compared to an untreated control group. This collaboration started when Haldar read Bradner’s landmark 2010 Nature paper describing the creation of JQ1 and its ability to transform cancer cells into healthy ones. 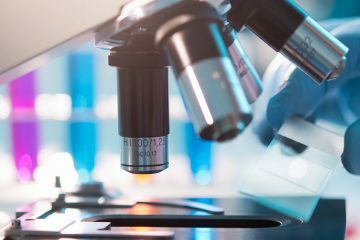 Following an open-source approach to drug development, Bradner elected to make JQ1’s chemical recipe publicly available to accelerate the creation of new treatments for patients. This synergistic approach to discovery opened the door for Haldar to work with Bradner to probe the role of BET bromodomains in the heart. In the coming months, the team will test JQ1 in preclinical models of heart failure and other cardiovascular conditions. With the jumpstart offered by Bradner’s creation of JQ1, the research team hopes to one day move to clinical trials. Charles Lin of the Dana-Farber Cancer Institute also was a lead-author on the study. 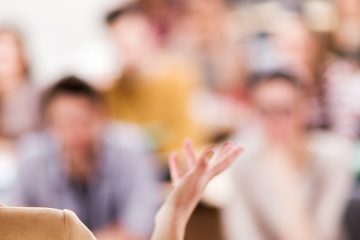 Key collaborators on this research also included Jorge Plutzky, Brigham and Women’s Hospital; Jun Qi, Dana-Farber; Madeleine Lemieux, BioInfo; Thomas Cappola and Kenneth Margulies, University of Pennsylvania Perelman School of Medicine; and Rongli Zhang, Pedro Calderon Artero, M. Amer Alaiti, Jace Bullard, and Kareem Alazem of Case Western Reserve University School of Medicine. This research was funded by National Institutes of Health grants including NIH-R01 DK093821, NIH-K08 HL086614, NIH-R01 HL105993, NIH-K08 HL105678, NIH-K08 CA128972, and NIH-T32 HL105338. Additional support was provided by The Hartwell Foundation, Visconsi Research Scholars Fund, the Burroughs-Wellcome Fund, the Damon-Runyon Cancer Research Foundation, the Richard and Susan Smith Family Foundation, and U.S. Department of Defense.